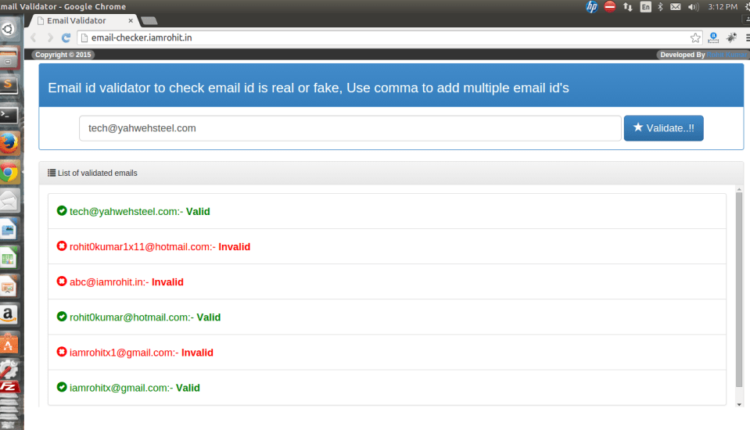 Email id Validator to verify email id is valid or fake? How to verify email id is valid or fake? The actual method is to send mail to given email id, If mail doesn’t bounce then we can assume that email is real. But If we need to check multiple email id in single click then it is very hard to check one by one. So I am going to show you step by step method to check email id is valid or not. gmail.com mail exchanger = 20 alt2.gmail-smtp-in.l.google.com. 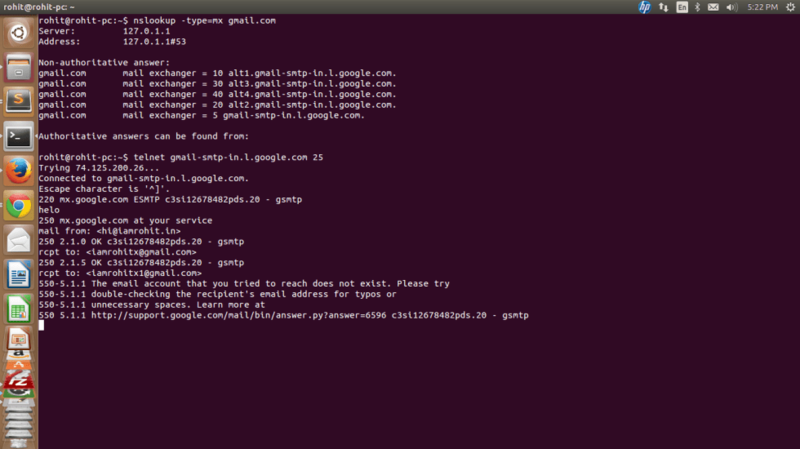 gmail.com mail exchanger = 5 gmail-smtp-in.l.google.com. gmail.com mail exchanger = 10 alt1.gmail-smtp-in.l.google.com. gmail.com mail exchanger = 30 alt3.gmail-smtp-in.l.google.com. gmail.com mail exchanger = 40 alt4.gmail-smtp-in.l.google.com. Step-3:- Say hello to server. Step-4:- Set sender email id. iamrohitx@gmail.com – OK (Email id is valid). iamrohitx1@gmail.com – The email account that you tried to reach does not exist(Email id may be fake). 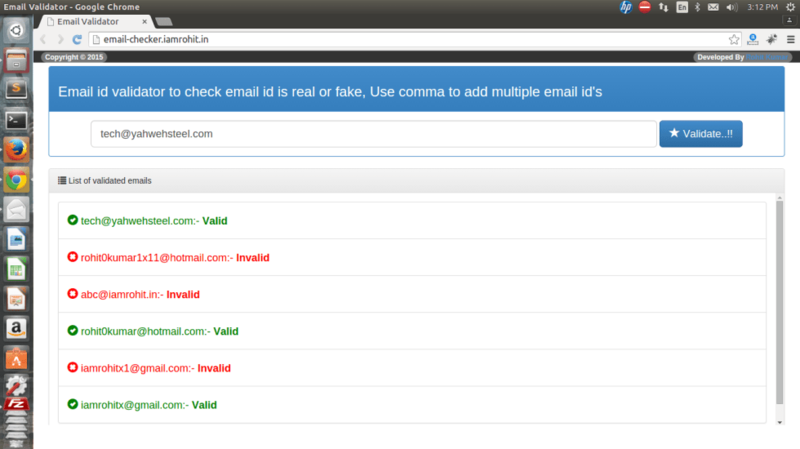 So using these steps I am trying to create a email validator tool by this tool you can easily check multiple email ids. 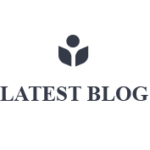 This tool is currently under development, So It is not validating all email ids but you can modify it according to your need and further support me to develop this tool. Download / fork source code from github and configure it in your localhost to check how it works. Also you can see online working demo by clicking on demo button. If you like this post please don’t forget to subscribe.